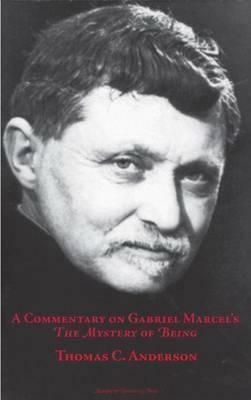 Over the past decade there has been renewed interest in the thought of the Christian existentialist Gabriel Marcel. An English translation of his autobiographical final work Awakenings as well as a collection of his essays on music have recently been published by Marquette University Press. Major philosophical works of his have been reprinted, the foremost among them being the two volume The Mystery of Being, a work in which Marcel discusses almost all of the major components of his thought and which he said contained an approximate synthesis of his ideas. Marcel was among the first to enunciate the distinction between intersubjective (I-thou) relations and subject to object (I-him/her) relations: the important difference between having and being and between problems and mysteries; the phenomena of the lived body and sensation; the concretely situated and dependent character of human existence as well as its supratemporal, transcendent dimension; the centrality of faith, hope, and love in human life, and our obscure and frequently unrecognized but, nevertheless, real experiences of an Absolute Thou and of our dead loved ones. However, Marcel's philosophical writings, including The Mystery of Being, although innovative and insightful, are often not easily understood by even his most sympathetic readers. This chapter by chapter commentary is meant to be used along with Marcel's own words in The Mystery of Being. It is written for those who, though attracted to his work, find it difficult to grasp. That is, the intended audience is not just scholars who have studied Marcel in depth but educated people who are interested in entering into the philosophical reflections of one of the majorCatholic thinkers of the twentieth century.